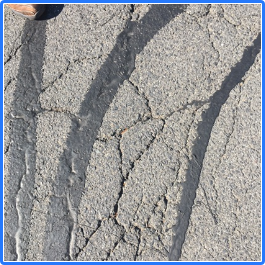 As asphalt wears down with time and use it will start to develop cracks in its surface, and although at a glance a single crack in parking lot may not seem like it’s going anywhere but after inclement weather and an excess of debris it can start to pose problems. Depending on the severity of the crack the number of steps can be reduced, light cracks can be sealed without having to cut in a reservoir, but depending on the size of the crack it may need to be drilled into with a saw or a router. The crack is then covered with a rubberized sealant which is crucial to the process as the elastic properties of the sealant allow for the road to continue to face heavy usage and weather conditions as it stretches with the asphalt and keeps out additional debris. late to crackfill, this customer was taken advantage of by their contractor. Unfortunately not all cracks are created equal, and as some cracks develop they exceed the opportunity for a simple asphalt seal and require them to filled instead. 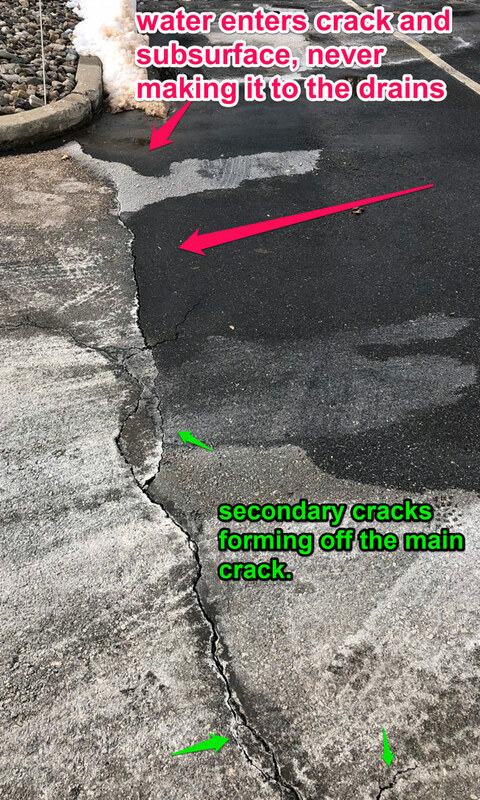 When cracks in the asphalt start to widen and the edges begin crumbling the best option to restore the pavement is to fill it with an asphalt emulsion and/or crumb rubber that will infiltrate and bind the crack together.